We recently had the opportunity to drive Mazda's soon to be released MX-5 Cup car. 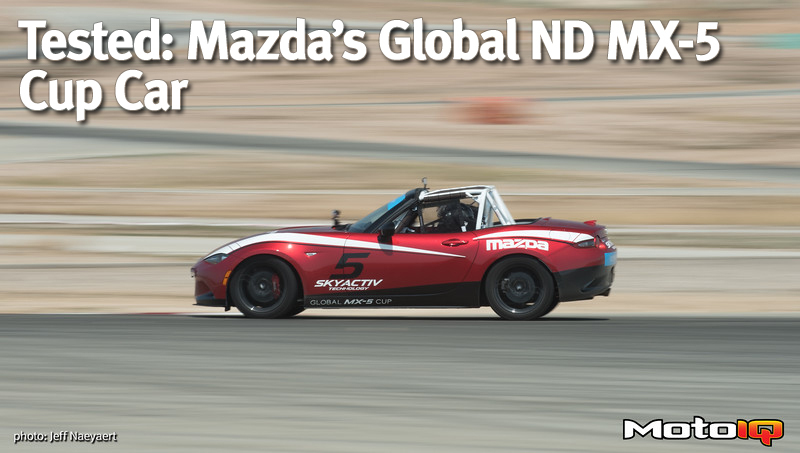 The Cup car is a Mazda factory coordinated effort to build a spec racer based on the new ND MX-5. The car will be sold by Mazda to racers. 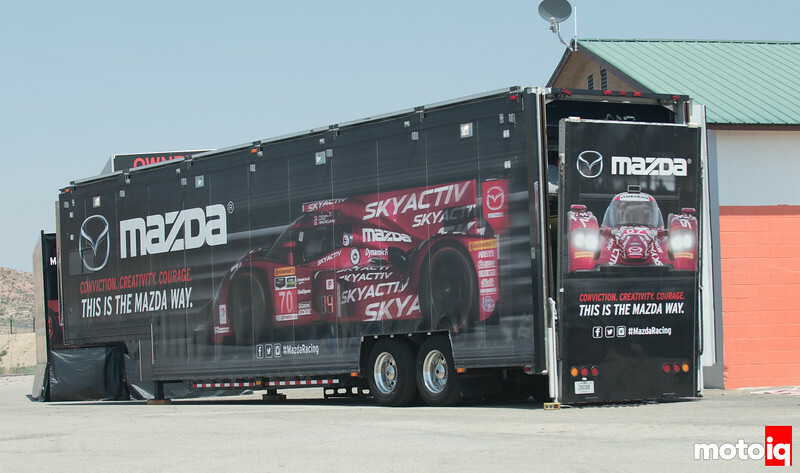 Mazda has been working with many racing sanctioning bodies to make the new cup car a global racing platform, class legal worldwide. A lot of you are familiar with the popular Spec Miata class. These are Miata's modified only with class approved components. Spec Miata has become quite popular due to the low cost of building and running the cars. The rules set makes for close competition and the relatively low cost of entry means large fields of competitors to test yourself against. Want to learn how to drive fast quickly? Spec Miata is one of the best places. We have shared race groups with Spec Miata but had never had the pleasure of driving one of them before so we were really looking forward to driving the Cup Cars to see what they're all about. Mazda Motorsports has partnered with Long Road Racing to develop the new MX-5 Cup Car. The development process has been long and detailed with over 392 different components evaluated and tested to refine the end product. 7 different tire combinations, 7 different suspension systems and 8 different brake systems were evaluated for example. The result is a car that is developed out of the box, relatively inexpensive, cheap to operate, fun to drive and most importantly consistent from car to car. Our own Dave Coleman who is also a Mazda Engineer had a hand in the development of the car and we were super eager to hear his insight into it. 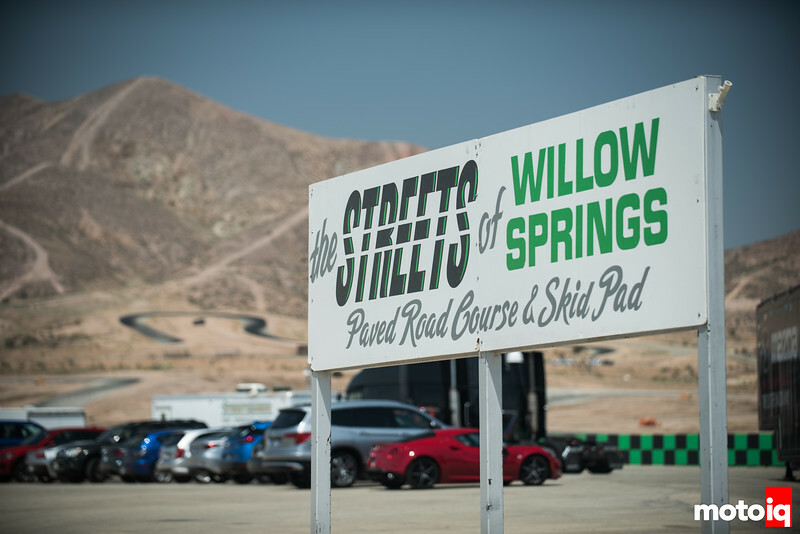 Our invitation from Mazda's PR department told us to show up at Streets of Willow raceway,the little brother of Willow Springs raceway. Streets is a really good place to evaluate cars with a wide assortment of varying radius and speed turns with challenging elevation changes that can really test the brakes. We formed part of a select group of journalists that had racing credentials and could be trusted to track test the cars without wadding them up. It was baking, at about 105 degrees, unusually hot even for a California summer and we appreciated the fact that Mazda had brought out their air conditioned driver's lounge for us to cool down in. We actually liked the temperature as we were eager to see if the heat plus scores of hard-driving, flogging journalists would make the Cup Cars go tilt. 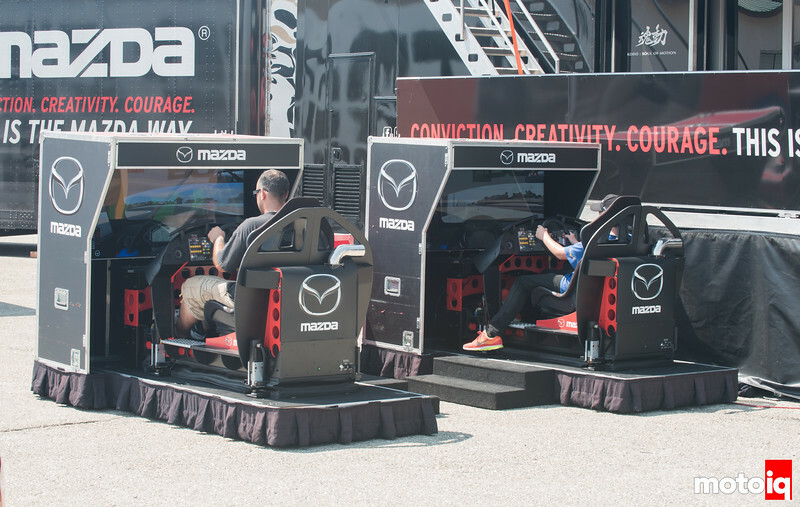 Mazda also had these simulators that were always busy so we never got a chance to try them. We were on a tight schedule ourselves and could only be at the event for a few hours so we had to make every bit of the day count. 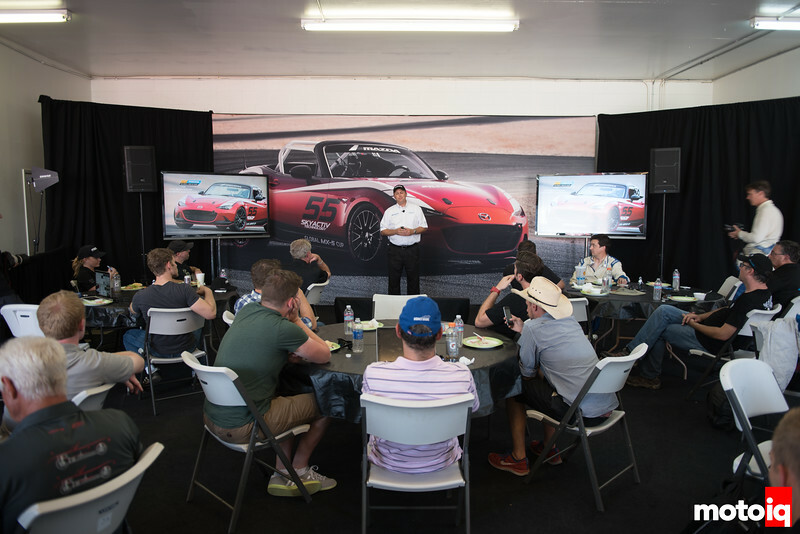 The first part of our day was spent in the classroom where John Doonan, the director of Mazda Motorsports and Dave Coleman, Mazda Engineer and Miatabusa builder, spoke to give us some background information on the cars and answer our questions about them. Ciao Bella: Part 2 – More Italian F1 GP, Rally cars, AMG Driving Academy, and more!